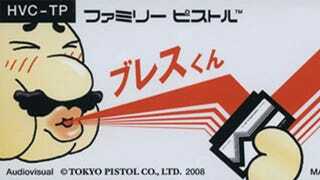 Millions of people grew up worldwide convinced the way to get a busted Nintendo cartridge working was to blow on it. It may have worked sometimes, temporarily, but experts say you were actually doing a lot more harm than good. How? Well, as Mental_Floss writes, the common theory as to the cause (and success) of the "blowing" theory is that glitching or non-functioning games were caused by dust accumulating on the inside of the cartridge's opening. Blowing this away would ensure a clean connection between a console and cartridge, and let you get your game on. This "cure" to broken games spread like wildfire around the world in the 1980s, but it turns out it was actually almost worthless. With the benefits of hindsight and research, collectors and game historians these days now know that it wasn't dust that was causing games to "break" at all. It was the way the NES was designed to interact with its cartridges. Nintendo designed its NES connector using nickel pins bent into a position so that they'd give slightly when a cartridge was inserted, then spring back after it was removed. These pins became less springy after repeated use, which make it hard for them to firmly grasp the game cartridge's connectors. BUT IT ACTUALLY WORKED, I hear you scream. And it did! Sort of. But remember: to blow on the cart, you had to take it out first. It seems more likely that it was the simple act of removing the cart and re-inserting it - giving the connector pins another chance to connect properly - that brought your games back to life, not the blowing. Do not blow into your Game Paks or systems. The moisture in your breath can corrode and contaminate the pin connectors. So, there you go. As fun as it may have been to have used such a simple, crowd-sourced means of resurrection for seemingly dead cartridges, it turns out in the long run you were actually hurting your games, not helping them.